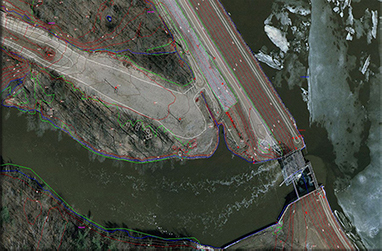 Whether you have a corridor project or annual stockpile updates, Williams Aerial & Mapping's experienced staff has the skill to ensure your job is done with extreme levels of accuracy. 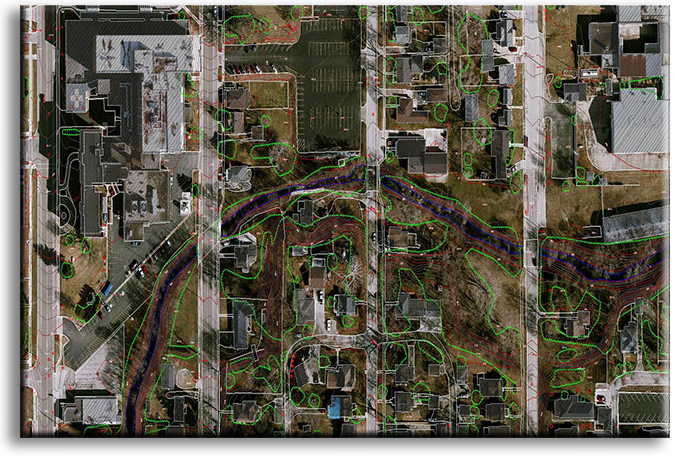 Viewable below are just some of the examples of the quality of work that Williams' is capable of producing for your company needs or requirements. 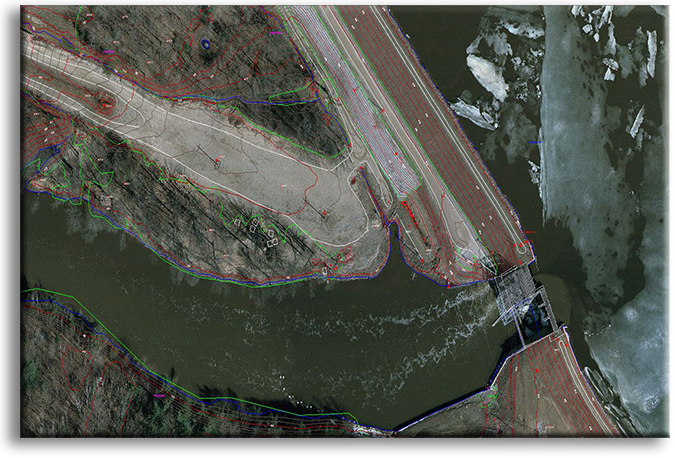 The two major features of Photogrammetric Mapping are Planimetric and Topographic Mapping. 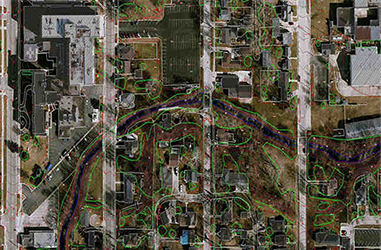 Planimetric Mapping includes and identifies physical features such as roads, buildings, and vegetation, while Topographic Mapping is a collection of break lines and spot elevations. 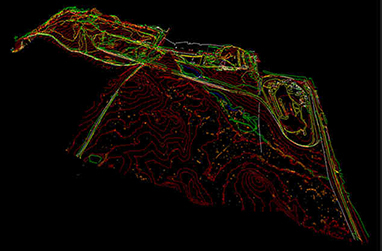 This method of mapping is a primary source for the creation of Digital Elevation Models (DEMs) and Digital Terrain Models (DTMs). 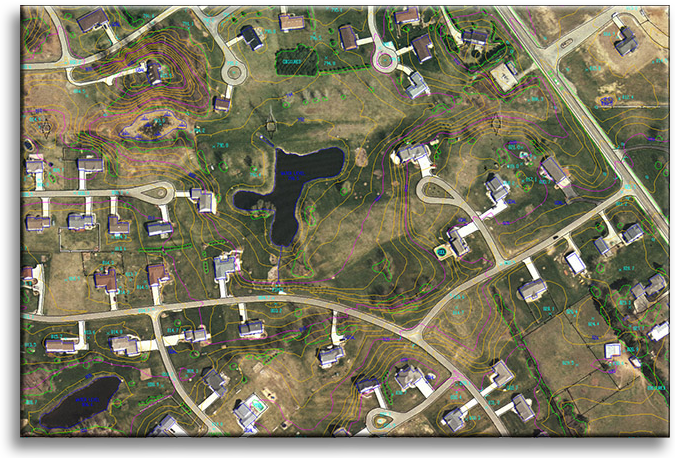 Williams Aerial & Mapping, Inc. has over 60 years of experience creating both planimetric and topographic maps. 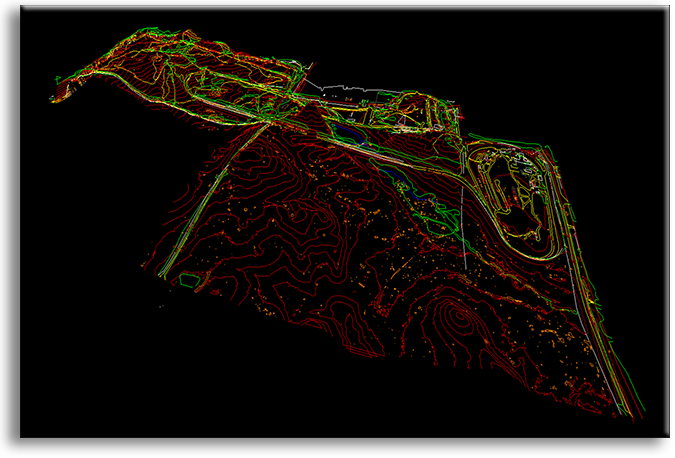 Here at Williams we use a variety of analytic techniques to create topographic and planimetric maps. 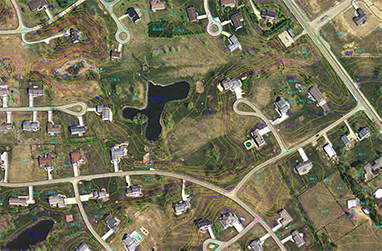 Some common applications for planimetric mapping include: GIS base maps, Digital Elevation Models, road design, drainage and runoff analysis, volume determination of sand, coal, and mines, landfill compaction ratios and subdivision design.